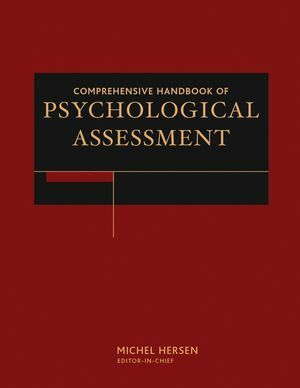 Dr. Hersen has gathered in this unprecedented 4-volume work the leading resaerchers and clinicians in psychological assessment. This groundbreaking reference presents essential information on the four major classes of psychological assessment instruments, including intelligence/neuropsychological, personality (both objective and projective), behavioral, and industrial/organizational. 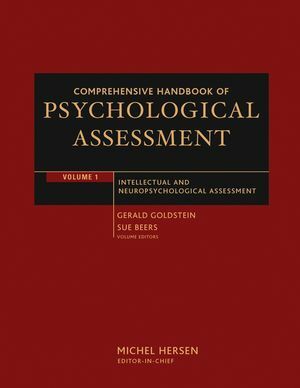 Each volume contains information on the history of the specific branch of testing, the range of tests, theoretical considerations, psychometric concerns, range of populations, cross-cultural factors, use with people with disabilities, legal/ethical considerations, computerization, and future development. Individual chapters consider these topics as they relate to specific instruments. As a result these volumes are indispensable for clincians practicing in these areas as well as library collections. Michel Hersen has published more than 80 books, including 5 with Wiley. 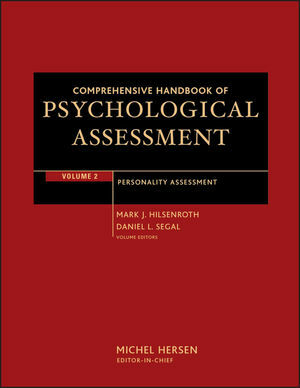 Section One: Objective Assessment of Personality and Psychopathology. Section Two: Projective Assessment of Personality and Psychopathology. Section One: Introduction to Behavioral Assessment. 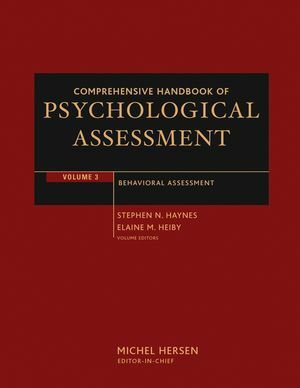 Section Two: Conceptual Foundations of Behavioral Assessment. Section Three: Methods of Behavioral Assessment. Section Four: Applications of Behavioral Assessment. Section Five: Integration Between Behavioral and Nonbehavioral Assessment Methods. Section Six: Conclusion, Summary, New Directions. Section Three: Personality, Integrity, and Interests. Section Four: Biographical, Experience Data, and Interviews. Section Five: Job-Specific Knowledge and Skills, Simulations, and Assessment Centers. Section Six: Assessing Job Performance. Section Seven: Assessing Teams and Teamwork. Section Eight: Employee Reactions to the Workplace.